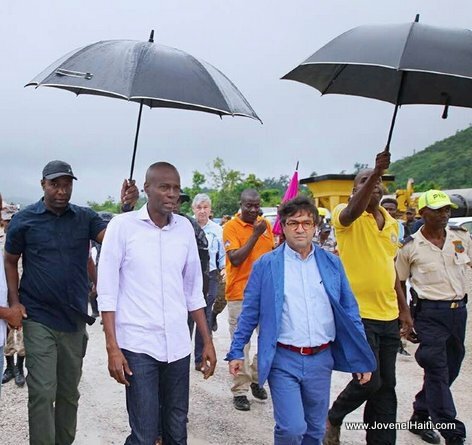 After seeing first hand the work that President Jovenel Moise is doing with his Caravane Changement in the South of Haiti, IDB President Luis Alberto Moreno tells the opposition: "It's time to get onboard the Caravane Changement." Politicians can have their differences, Luis Alberto Moreno says, but not when it comes to road infrastructure, electricity infrastructure, etc, that are being realized for the benefit of the people of Haiti. "What really matters is doing great things for the Haitian people... It's the solution that counts. I really want everyone to think about this because I think that the caravan in Haiti is working." This is the way it works in any democratic country. No one, not any opposition should be oppose to what works for their people and for developing their country. By acting otherwise, the people itself would turn against such opposition. Après avoir vu de ses propres yeux le travail que fait le président Jovenel Moise avec son Caravane Changement dans le sud d'Haiti, le président de la BID, Luis Alberto Moreno, déclare à l'opposition: "Il est temps de monter à bord du Caravane Changement."